In my new book about the success factors of High Performance Organizations (HPOs) I will write extensively about an important characteristic for the HPO manager: TRUST. Low trust is also a very important characteristic for an organization as this adds significantly to the cost of doing business, restricts the playing field of action and saps value. Trust is, however, a difficult characteristic to improve as trust cannot be gained by asking for it or demanding it from employees. In addition, as the saying goes, trust comes on foot and leaves on horseback. It takes time to build a trusted relationship, trust has to be earned. In a trusted relationship it is all about giving trust and getting trust. It is not given blindly of naively. In a business relationship trust is given on the basis of rational consideration and emotional connection. 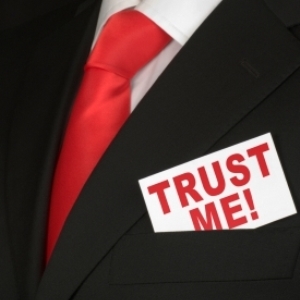 To achieve goals in an organization employees need to trust their managers. For this, next to skills, openness and sincerity, trusting one’s managers is paramount. Managers in an HPO maintain and strengthen trusted relationships with their employees by being honest, visibly valuing loyalty, treating smart people smart, showing people respect, listening to and asking help from others, learning from others, creating and maintaining individual relationships with people, having belief and trust in others, and exhibiting elemental fairness in the way people are treated. These managers stay in touch with their employees by knowing and dialoguing with them. They apply a collaborative, re-conciliatory style and give confidence to people by only criticizing them when they are present or in bilateral conversations, and by “fighting to the death” for them at higher management levels. HPO managers create fairness and equity in management decision-making, they value contributions of employees, and they recognize these employees for their achievements by acknowledging people’s efforts to change and giving them credit for it. They behave in a predictable and consistent manner, communicate openly and clearly, treat promises seriously and are honest and forthright. Order ‘What Makes A High Performance Organization’ now at Amazon! For more information about the HPO Framework, HPO Diagnosis, our lecturers, HPO Experts, workshops and Master Classes, please contact us (vink@hpocenter.com or T. +31 (0) 35 – 603 70 07).